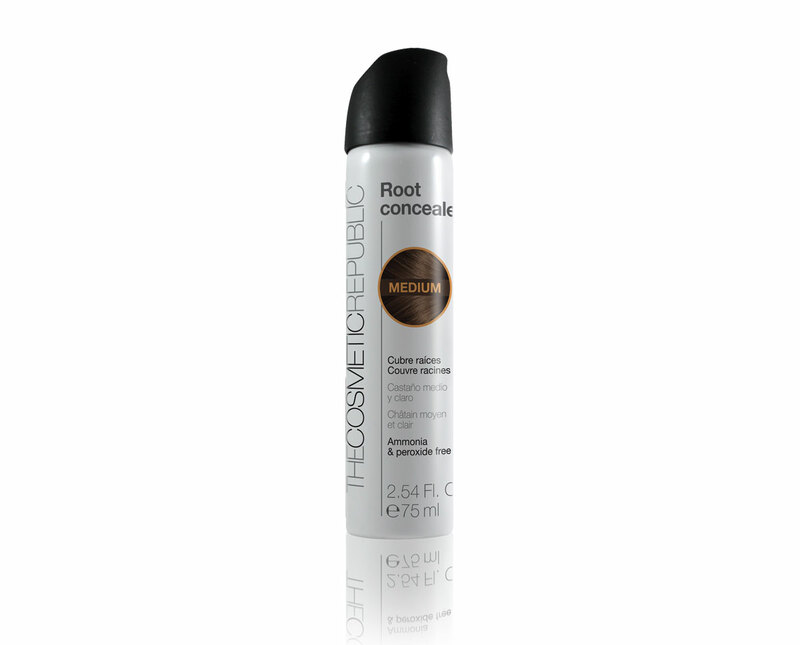 Root Concealer is a temporary solution to touch up roots and cover grey hair instantly. It is ammonia and peroxide free, and it is made of mineral pigments, which makes it more natural and friendly to your hair. It does not come off on your clothes, your bed sheets, in the rain, or if you sweat. It does not drip or get on your face or make up. Its ergonomic 180° spray diffuser makes it very easy to apply, spending less and covering more! The greatest solution for in-between colouring! Blond: for light and blond hair. 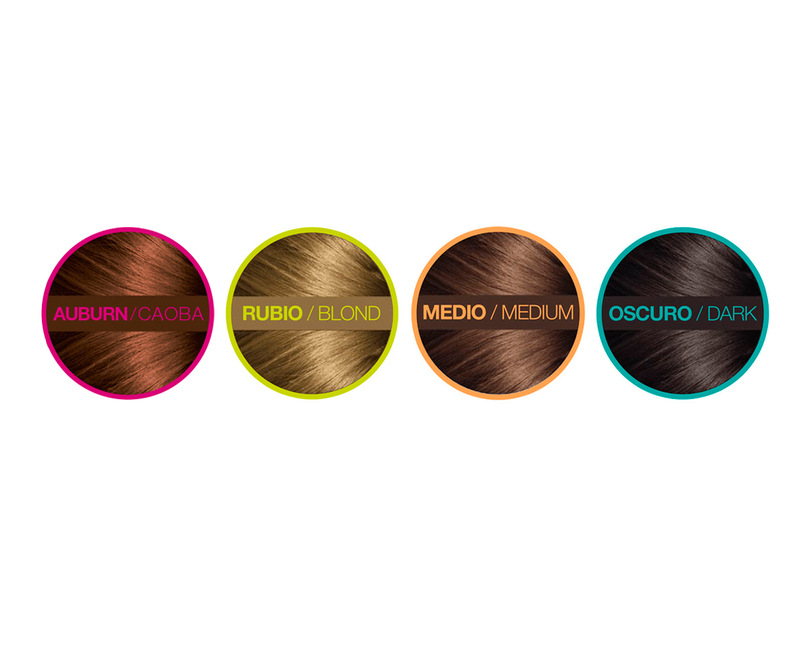 Medium: for light to medium brown hair. Dark: for dark brown to black hair. Auburn: for auburn and red hair. 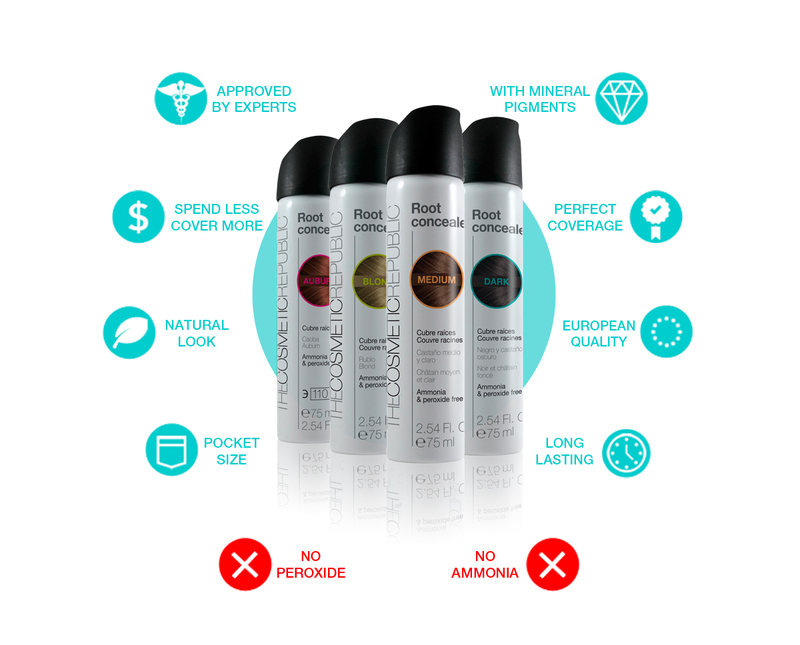 Root Concealer has been approved by experts in colour retouch and hair stylists. It leaves a natural finishing thanks to the mineral pigments used for its production. It covers roots and greys to perfection, and it will not come off until you shampoo it out. Root Concealer has been designed for home use and it only takes a few minutes to get the final result. Spray 10cm away from the desired area. Hair should be dry and clean. Do not overspray. Use Keratin Comb to spray near the forehead and sides if needed. The S.O.S Pack has been specially designed to improve the quality of weakened hair and prevent hair loss in 3 steps: 1. REVITALIZE: Wash the hair with the Multivitamin Shampoo, which provides shine, volume and strength, revitalizing the follicles. Vitamins A, B, C, E & F and microencapsulated keratin act preventively against hair loss. Daily use. 2. REPAIR: Apply the Scalp Mask, giving gentle massages for 3 minutes. Its repairing action restores the natural balance of the hair and scalp. Weekly use. For oily hair, apply from midway to the ends. 3. NOURISH: Before sleeping, spray the Night Revitalizing Vitamins on the scalp, massaging for greater penetration. These will provide nutrients to the hair to accelerate the functioning of the cells during the night's rest. Daily use.